Fact Check: Is Refinancing Student Debt Really Good Policy? August 21, 2015  Student loan debt is turning into a major campaign issue, and one solution many candidates can agree on is allowing graduates to refinance their student loans. But it may not be the best way to help. April 8, 2015  Montana could soon dial back laws that allowed defaulters to have their professional and driver's licenses revoked after failing to pay back debt. November 19, 2014  Noelle Johnson has about $20,000 in student loans and is still working on her degree. 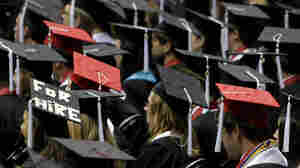 Without the higher earnings a B.A. 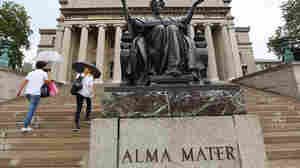 can bring, even a modest student debt load can pose a big challenge. October 12, 2014  One of Florida's largest community colleges is trying to reduce the amount of debt its students take on. 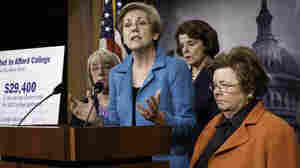 As part of a federal experiment, it has barred them from taking out any unsubsidized loans. June 11, 2014  The bill was shot down days after President Obama urged Congress to help ease the burden of student loan debt. It would have required a higher tax on the wealthy. July 17, 2013  There's a bipartisan plan now from the Senate, The Associated Press reports. Loan rates doubled on July 1. Under the still-evolving deal, rates would go up much less. But they would rise in later years if the economy picks up. 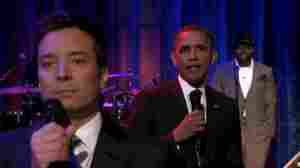 April 25, 2012  The "Barackness Monster," as Jimmy says, was part of the late night host's latest rapping of the news. This time the subject was the cost of student loans.